How a pill for alcoholism became a blockbuster antidepressant. Back in the 1970s, while doing research on antidepressants at Eli Lilly and Co., several organic chemists had been working on identifying new compounds that showed activity at serotonin receptor sites. The Lilly researchers came across Compound 82816, which very cleanly and very selectively blocked the reuptake of serotonin, and it did so without effecting any other neurotransmitter system at all. Clinical trials of compound 82816, chemically known as fluoxetine, continued into the early 1980s. At the same time, compounds with profiles similar to fluoxetine were being tested at various universities and drug firms. The new drugs—with names like citalopram, zimelidine, fluoxetine, and fluvoxamine—were extensively investigated in animal models, and along the way, investigators made some unexpected discoveries. European investigators had shown that one serotonin uptake blocker in particular—zimelidine—seemed to reduce the self-administration of morphine and alcohol in addicted rats. A good part of the research began to center on three serotonin-enhancing compounds—zimelidine, citalopram, and fluoxetine. 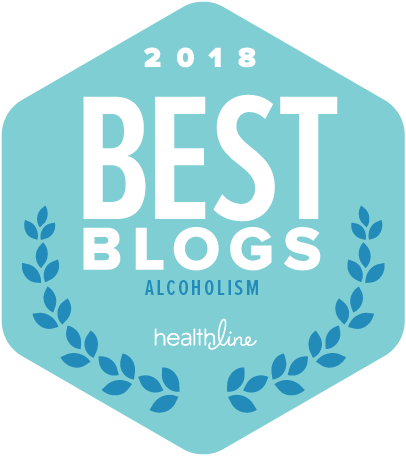 As research continued, it became consistently evident that drugs capable of increasing concentrations of brain serotonin tended to cause large numbers of animals and human test subjects to drink less alcohol. But it wasn’t simply an aversive reaction at work, as in the case of Antabuse. People in the clinical trials still drank, but in many cases, the urge to drink seemed to diminish, and while the decrease was modest, it was measurable. The prospect of making alcoholics drink less, or stop drinking altogether, was a less publicized but equally attractive notion. Lilly already had a trade name picked out for fluoxetine. They were calling it Prozac. 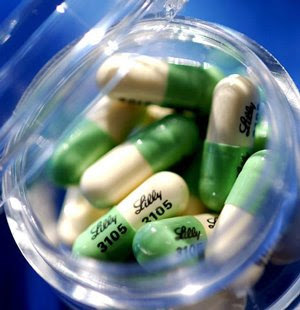 A year after its introduction as an antidepressant, Prozac was a runaway success. Prozac quickly proved the existence of a huge potential market for serotonin reuptake inhibitors. Research continued on the diminished craving response that the serotonin uptake blockers seemed to produce in certain drinkers. The drug’s allure as an anti-craving medication for alcoholism and other possible addictions remained an open secret among researchers. Lilly wasn’t saying much in public about it, and with sales booming for fluoxetine as an antidepressant, the company could afford to concentrate on that indication. In the end, Lilly chose not to pursue further investigation of Prozac’s ability to reduce drinking and initiate weight loss. I have been on 20mg of Prozac daily for a month now. I also take 0.5mg of Xanax for break through panic/anxiety attacks. I have never felt better. After 20 plus years of struggling with depression I have finally found something that helps without all of the yucky side effects. I'm 34 years old and am finally enjoying my life. My family and friends have also noticed the difference this has made. I love it. There are so many stories like yours that it breaks my heart to see all the anti-Prozac momentum still out there. And hey, didn't you get the word? SSRI antidepressants don't work! It's all over the newspapers! You fool, it's just the placebo effect! Is that nonsense, or what.